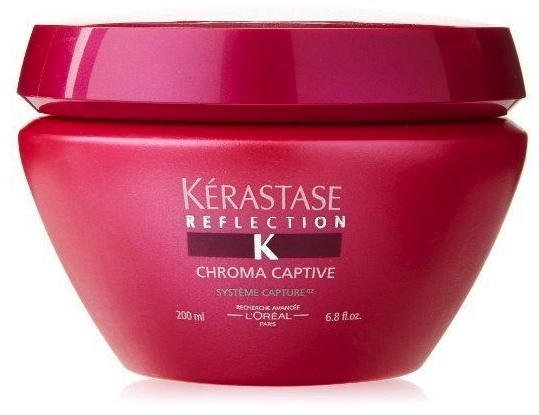 Kerastase Masque Chromatique For FineHair is a nourishing mask specially developed to enhance and protect the color intensity of color-treated or highlighted hair. It uses newest technology Systeme Capture Advanced, a powerful blend enriched with Chelators Complex (Sodium Citrate, Yuzu & Lychee Extract), Zinc Gluconate, UV Filters, Vitamin E and Rice Bran Oil. Kerastase Masque Chromatique For Fine Hair will nourish the hair and protect color vibrancy leaving it supple with an intense shine.